Tried the second batch of kraut and it turned out okay. I left it in for four weeks this time and unfortunately there was some mold situation during the last week. Apparently you can scratch it off or remove that layer and, sure enough, the kraut was totally fine. However, the thing stank up the whole apartment and it looked and smelled gnarly. I’m not sure what the problem was; a lot of the liquid evaporated very quickly for some reason and adding some water probably caused the problem. It’s still too salty for my taste, so I’ll reduce the amount again for the next batch. 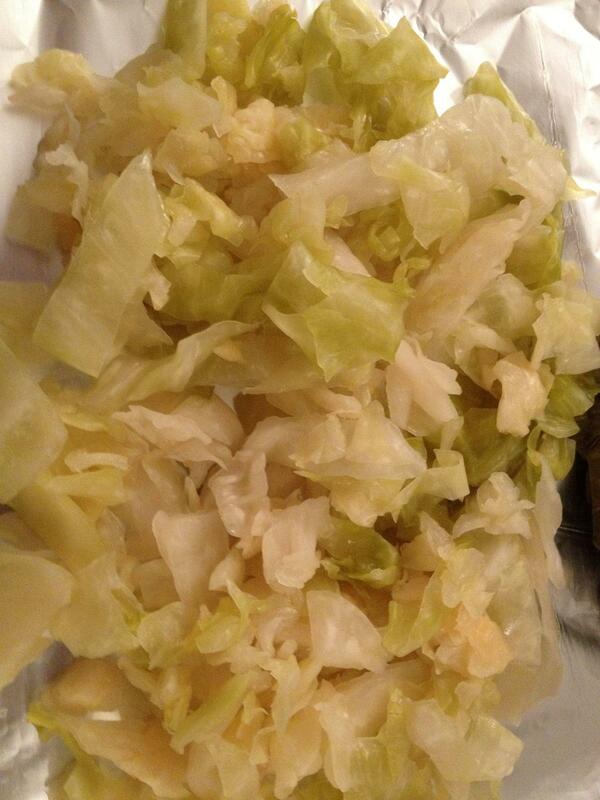 This entry was posted in food, life and tagged fermentation, sauerkraut by Magickal Bunny. Bookmark the permalink. So I was given a 5L Harsch crock for my last birthday, today is just about 4 weeks into the first batch of kraut. I followed the instructions that came with the krock, basically layer this much cabbage with this much salt, mash a bit and repeat. Put 2 or 3 of the outer leaves on top before the weight stones then closed and filled the water seal.After about 2 weeks my drunk friend lifted the top off, unknowingly burping it for the first time – everything looked fine. About a week later I took another look and everything seemed fine. Now 4 weeks in I was about to taste and most likely transfer it to the fridge but I found a lot of mold on top: http://imgur.com/a/hQ2kT I tried to spoon off the spots of mold and discovered that it was all attached, covering the whole top of brine with a pretty strong pinkish film. The kraut smells slightly off, and doesn’t seem to have any crunch to it: http://i.imgur.com/vh03C.jpg I’m pretty sure the batch went bad so I didn’t even taste it, although I haven’t yet thrown it out. It has gotten significantly hotter over the past weeks, probably getting around 80 degrees in my apartment during the day. Could this have had something to do with it? I’m not sure what else could have caused this. Any advice for my next batch would be greatly appreciated, I’d hate to waste another 7 lbs of cabbage. As far as I know you can skim the mold off and even remove the upper layer of kraut, if it’s moldy, and the stuff underneath should be fine. I have had a similar issue and that’s what I did before I put it in the fridge. I *think* the mold appears at the surface where it has access to oxygen but doesn’t go down into the kraut itself, because it’s too acidic. I had some reservations, but I tried it and it tasted fine, no problems at all. Mine also smelled pretty off, but after spooning the mold out and removing the upper layer the smell went away. The higher temperature accelerates the fermentation process, so it might be ‘done’ earlier than what it said in the recipe. However, done really depends on how you like your kraut. The longer you leave it in, the mushier it will get.